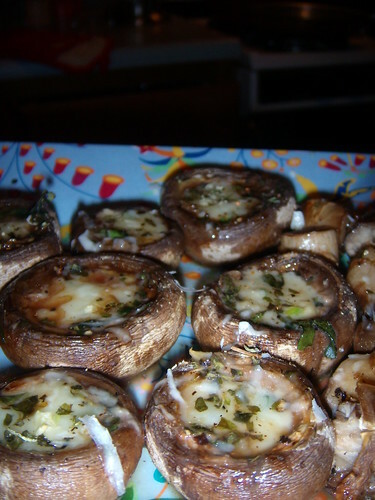 stuffed mushrooms, originally uploaded by aarn! +3rd July, 2008+. trisha stuffed some mushrooms with butter, horseradish cheddar, and basil, topped with some romano and baked.